Skylar Stecker Is Radio Disney Next Big Thing — What Does That Mean? Being named Radio Disney's Next Big Thing is a huge honor. 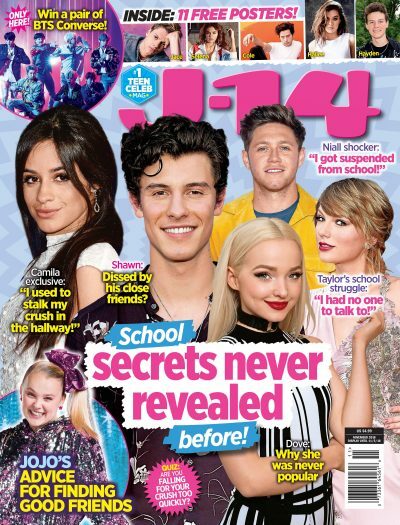 Stars like Fifth Harmony, Shawn Mendes, Kelsea Ballerini, and Becky G have been named "NBT" — and J-14 is EXCLUSIVELY premiering the next artist who will be inheriting the title. So who's the lucky singer? It's Skylar Stecker! The singer recently presented at the Radio Disney Music Awards alongside China Anne McClain. "Being named Radio Disney's 'Next Big Thing' is such a dream come true! I remember years ago seeing this same campaign and thinking, 'One day I hope that will be me.' And now here we are…I still can't believe that dream is now a reality," she dished to us. So what does it mean for her fans? They'll get to follow the starlet as she launches her music career, in videos shown on social media, Radio Disney, Disney Channel, the Radio Disney app, and RadioDisney.com. She's no stranger to the Disney fan, even appearing on Austin & Ally in 2015. Remember that?! Temecula Road was Radio Disney's last Next Big Thing (and Alessia Cara before them! ), so we can't wait to see what Skylar does next. After all, she's found herself among some very famous alumni. Watch Skylar's music video for "Only Want You" (which she shot in only one take!) below.